Michael began to visit potential sites today. A few pictures below. The build of the COTS (consumer off the shelf) meter is complete, just in time to head to Mali for the Pilot this month! We’ve replaced the fitpc2 with the sheevaplug due to availability issues we faced with the fitpc2. 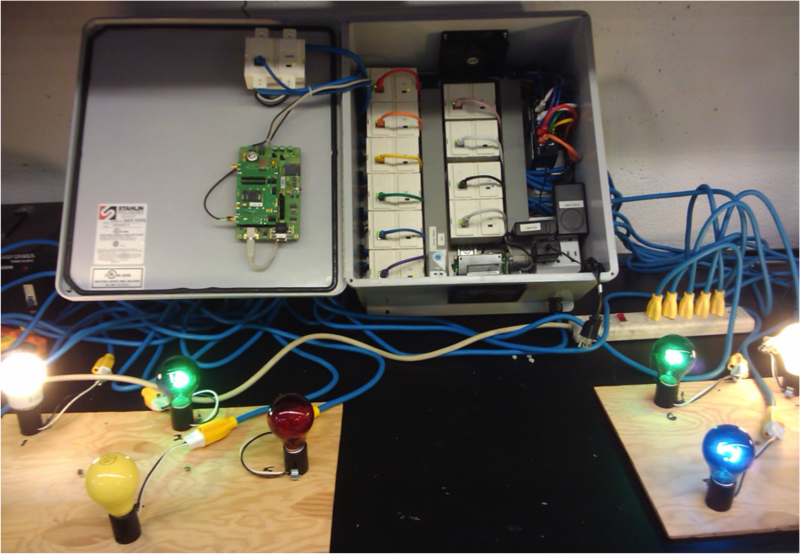 Below is a picture of the COTS meter, monitoring some lightbulbs (disco-tech) in the lab on our test bench. Without SMPP (or some similar Telecom service), we’ve decided we’ll need to quickly implement an “SMS forwarding” device to move messages between the gateway and the meter or consumers. Groundlabs has turned around this design + build in record time! The first TelDuino (motherboard) is in hand! We’ve decided to pursue a parallel path toward developing the core SharedSolar technologies: the gateway and the meter. This should allow us to hedge our bets and get something to the field as quickly as possible in order to cain important learning cycles, while also moving us toward the longer-term, reduced-cost solution. CU (Columbia) will focus on developing the payment gateway in its entirety and a meter using COTS parts (consumer off the shelf). Simultaneously, UCB (Berkley) will work on developing a lower cost, custom meter (leveraging ongoing metering work at Berkley, plus their own custom circuitry). The architecture we’ve chosen for the COTS meter relies on the SC20 (from Wattsup) plus a linux box (fitpc2). 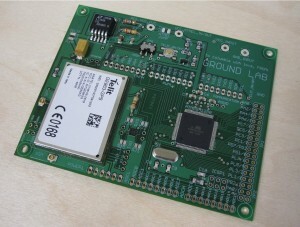 The custom meter will take lessons learned from the popular Arduino, and add a Telit modem. Daniel came up with the appropriate name: the TelDuino!